Please stop making "wakeboard" videos. use all that cash to bring wakeboarding to new peeps through demos instead of 10000 dollar photo op days? @Frank, by combining a more popular sport this video may get seen by a whole new market that follows BMX. So by doing this shoot someone who has never seen wakeboarding may see it, thus they are growing the sport. 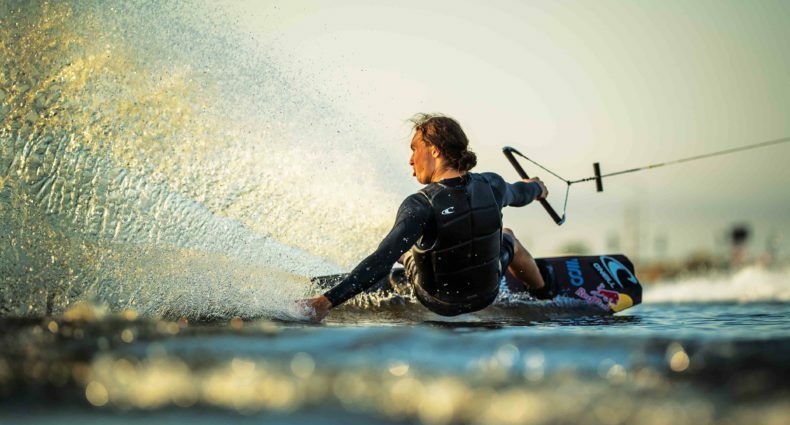 Red Bull does more for Wakeboarding than any other Energy Drink brand. They do this wild stuff…but I feel I never get to see the final results!!!! I want to see some of the shots!!!! RILEY mayne, you ever even Been to a demo? the shits free. and everything i've ever seen red bull put money in to is straight privatized, whether it be a Cubed Pipe for that skiier, or Shawn's private Pipe in Alaska or wherever, or the "elite" training they sometimes give to their surfers and other sponsored pros and let us unsponsored people watch. I've said the same thing about red bull to everyone who's ever seriously talked with me about ridin' sidewayz..but this kind of photo shoot just, once again, proved to me that red bull will throw cash at anything if it means theyre rep can"improve" on paper. How about some real life fun for the not-so-priveledged BESIDES those well paid hotties who crooz in da mini?